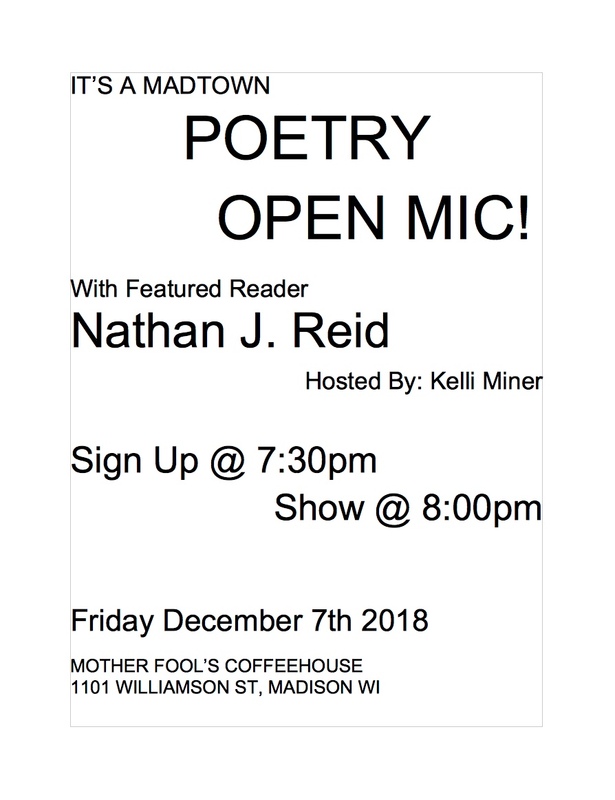 Nathan J. Reid is a spoken word poet and actor living in Madison. His work has appeared in various journals, including Fox Cry Review, Penguin Review, Bramble Lit Magazine, and GREAT: Poems of Resistance & Fortitude poetry anthology. He has been the featured spoken word artist for various exhibitions, fashion shows, and art markets around Wisconsin. He is a member of the Wisconsin Fellowship of Poets, former competitor for Madison’s 2015 National Poetry Slam Team, and former senior editor for UW-Oshkosh’s literary journal, the Wisconsin Review. His first collection, Thoughts on Tonight, was published in November 2017 by Finishing Line Press. Visit nathanjreid.com for more information.